I’ve been thinking a lot lately of hosting my very own virtual event so when I saw that Angela Wills had a product on how to do this, I defintitely wanted to check it out. I love easy to read reports and this was one of those that I read from start to finish. She describes in full detail what she did to host her event, how she got the speakers to participate and promote the event, how she set it up, what tools she used to set up her affiliate program plus more…. and a summary of each step (which makes it nice and easy to refer back to). Nice! How to host your own virtual event and grow your income by building your expert status. Included is a case study of her own event and an action plan for you to print out and check off for your own event. This report is for you if you are ready to get going with your own virtual event easily without spending loads of time setting up, Angela said she only took 3 weeks to get it done and ready to go. As I was going through the report Angela was sharing basically step by step what she did to host her event. I was thinking to myself that it would be handy to have the template emails she sent out to event speakers, emails for her subscribers, and a sales page template. She also mentioned that with this first event under her belt that her plan was to double or triple that success… I would have loved to know WHAT she was doing now to achieve this. I love the “ordered checklist” Angela included which shows you at a glance exactly what you need to do to create your own virtual event. It’s literally every single step she took to get the event ready. These points above are all listed as checklists so you can see exactly what to do. In the end she built great relationships with the speakers, made some cool cash and had a really great info product at the end of it that she could sell. Personally I enjoyed this report and would love to see if Angela increases the product by adding those handy templates that I could just copy and paste for my own events. If not, it was still worthwhile and made me feel like it was easier than I was thinking. Ready for your own event? Click here to grab your own copy. After finding Yaro Starak on the internet I quickly came to realize that he was providing some pretty awesome materials on his website — then he launched Blog Mastermind. 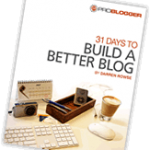 Yaro Starak put together this program for bloggers to help them take a blog from start to profit, which I joined back in 2007 and knew right away that this would definitely help me. Yaro makes his full income online so why wouldn’t I learn from that? Lesson 1 – Let’s Get Blogging! Sadly right when I decided I wanted to review and apply everything inside the program I was dealing with going back and forth to the hospital on top of running my online business. I did manage to put together a checklist one night at the hospital and did manage to implement things here on my blog but not enough to have me feel that I did everything I could to put this program to the true test. When I say I didn’t do everything, well I’m pretty picky with myself and probably go overboard on all programs I review but I always want to make sure I applied everything possible. So, I’ve probably done a lot more than most for that reason. Inside the program it is very easy to follow – you can listen to the program which is what I did because I got a bonus from Yaro — it was an IRiver that was loaded with every lesson. Plus I absolutely prefer to learn this way. But if you prefer to print out the lessons and read everything that’s easy to do as well. What I loved too is that Yaro put out a lot of free tutorials, videos & proof so that if you couldn’t afford the membership price tag you could still learn and apply lots to your own blog. One video in particular that I enjoyed was the conversion blogging video. Yaro talks in the beginning on how internet marketers and bloggers are somewhat separate. He says that he wanted to show bloggers how to use internet marketing to their advantage and work on converting people who come to your blog. He also stresses the importance of creating a real business and not just a blog – there’s really no point to having tons of traffic either if you are not converting it into income. The best part is that Yaro is teaching from experience and I respect that far more than someone who has just learned the techniques. He actually applied everything himself and could even travel the world (from my memory I think he was on the road for a year or so) while he made money from his blog. 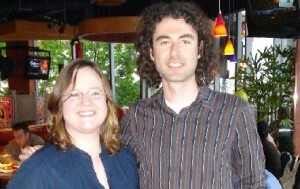 I even got to meet him during his travels here to Vancouver, BC Canada. I personally increased my income at this blog so quickly that there was a serious problem — it was far too fast! I even had to slow down the growth because I was falling into doing things and working on projects that I wasn’t enjoying. I guess you could say it’s a nicer problem to have than being stuck in a 9-5 job or business like I was. I will continue to work on all aspects of the Blog Mastermind Program but I do plan to outsource 100% of the work, there is just so much to do for it. This will be my second round covering the program but I will be more diligent to grab screen shots and provide a true case study for you. I would like to leave you with an article written by Yaro so you can start applying the program to your blog even if you don’t purchase it — I challenge you to dedicate yourself completely to all of these top 10 tips. Just get it done and see what kind of results it can bring. Recently when Darren had his Birthday at Problogger he put his book on for half price, so I grabbed a copy. With every single course that I download I put together a Checklist to keep myself on track. I’m also extending that offer to anyone who grabs a copy on my recommendation. That got me thinking about coupon codes, I probably would not have bought the workbook myself for a while. It always takes time and effort to follow a new course and implement the steps. But because there was a decent discount, I went for it. Then once I purchased it I almost kicked myself for not getting it sooner. It’s a very good workbook and it will be easy for me to go through it and refer to it in the future. Do you use discount codes for your products? • Bring in new customers – When a consumer is ready to buy and knows of multiple sources for the product, price is often the deciding factor. Consumers are attracted to a good deal. Offering a discount code to new customers provides an added reason to shop at a particular website over all other options. • Encourage repeat business – Satisfied customers will be more likely to shop again when they are reminded to do so, and given a compelling reason to return. A special discount code can be sent via email at specific intervals as a thank-you for past purchases and to encourage repeat business. • Increase order size – Time-limited offers create a sense of urgency and give customers a reason to buy more than they originally intended. Discount codes can be offered for a percentage off the purchase price of a second item, for example, or for free shipping on orders totaling a specific amount. • Tracking – Gathering data on customer trends is imperative for every etailer. Issuing separate discount codes for different mailings, website promotions and affiliate partners, for instance, provides important information on where customers come from and which marketing campaigns are most effective. This data can then be used to make decisions about future marketing programs. • Control inventory flow – Physical stores manage inventory flow by marking down items they want to move. Online storefronts can use discount codes for the same purpose. The discount can be offered across the board, or used to bring in new customers with an interest in that particular product category, or sent to previous customers who bought similar products. There are several ways discount codes can be applied. You can generally offer a set dollar amount off the normal price of a product, a percentage off the price of a single item, a discount on the order total, or free shipping on orders that exceed a minimum dollar amount. Discount offers can be extended through a number of vehicles. They can be posted on the landing page of the storefront. They can be emailed to select past or potential customers. They can be introduced on the order summary page to encourage the customer to add items to the shopping cart. Or they can be listed at sites such as currentcodes.com or dealhunting.com. Many people determine the effectiveness of their marketing strategies by tracking the use of discount codes. The information can help businesses achieve the highest possible ROI and sales at the best available rates. What Does Your Website Design Say About You? 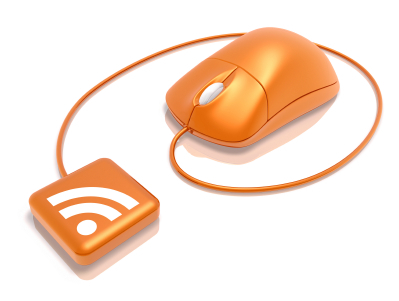 Thousands of people struggle to publish a website on the web every day. Some want to make millions overnight while others want to start a legitimate home based business. Still others want to just find a voice by blogging. The massive size of the web has made it a playground for the newbies and the experienced alike but with millions of people making up your potential audience, how do you differentiate your website from all the others? No matter what your purpose is for having a website, you want it to look appealing and welcoming. The visitor needs a reason to stay to read what you have to offer otherwise they are just one more hit in your stats, never to be found again. One way to get your website published quickly is to use a DIY web page builder or templates. Choose a design, add your copy, and hit the publish button. But if you do not have an eye for design your page layout might confuse your reader about where they should look first. Or the graphics included in the templates might look unprofessional and not really convey your message to your readers very well. Confusing a reader should not ever be part of your plan and if you are online to make money, customers need to be assured of your professionalism prior to buying from you. Using a below standard web page builder might just turn away people instead of bringing them closer to making a sale. I always recommend using web design software to all my coaching students and others who are new to the online world. This one program has helped me grow my business immensely and has certainly paid for itself multiple times over during the years. This is the king of DIY web builders. Every design and copy element on the page is within your control but the developers have already paid professional web designers to create the hundreds of templates available to use. The actual layouts are very professional and pleasing to the eye, which will help navigate your reader through your site while also establishing you as an expert in your market. Xsite Pro is a one-time investment but now business owners are not stuck using a sub par program getting sub par results. 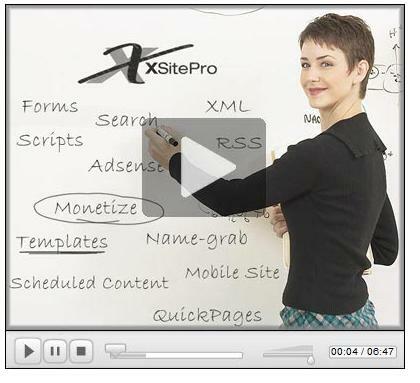 Xsite Pro gives you the professional website that you want – and need – to be successful online. Is it time to take a review of your own website? What does it say about you? 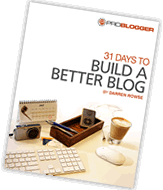 Yaro has been working hard behind the scenes for the big launch day for Blog Mastermind. NOTE: Yaro is offering 3 Action Bonuses for the first 100 people to join! Today at 10AM EST, you will have an opportunity to join his program and put his teachings into action. It’s not easy putting together a big launch like this as I know I’ve gone through the process myself. Over a rather short period of time I wanted to share with you some things that I’d like to do with my own blogs, and the first thing that will change is going to have to be my opt-in box. Of course, I would love to also increase my readership at my scrapbook blogs as well. Hopefully my experience will also help you look into your own website to see what you could make better for your business. If you missed the recent posts, I discussed Yaro’s Conversion Blogging Video, and an inside look into how he makes money with his blog. As I type this I’m also preparing myself to take the Blog Mastermind Course. I’ve taken several courses in this industry and am very proud of all that I have learned to apply to my business. The one thing I’d like to get across is taking ACTION on what you learn. So I’ve decided to offer you a bonus if you choose to purchase through this link. I know by taking this course that I will make more money with my blog because I fully plan on taking action on everything that I’ve learned. I know that there are many things we need to do to run our business, but if there is something like this course that will help us move our blogs forward creating traffic to our sites, a relationship with our subscribers, and make more money with our customers then I opt to go ahead and take this course. If you would like to join me in this journey with Yaro, I will set up a private area inside my business management system for you to share your thoughts on the program and what you need to apply to your blog. Also monthly I will share my plans with you and my experience with the program, along with the success of it all. I’m really looking forward to meeting you and bringing you into my private online world. For myself, I also love to learn with audio. So each month I will prepare an audio for you on my own thoughts of the program, what I’ve learned, what I’m applying and how to make the most out of the teachings. It will be a great experience and it will also help me sort out what I’ll be planning from the lessons. We’ll have discussion about opt-in rates, increasing our subscriptions, different things to tweak, and following the path laid out for us. After ordering the program send me an email to smallbusinessbranding @ gmail.com with your payment receipt. Once I have confirmed your payment, I will set you up in my business management system right away. We will get started covering the program right away. 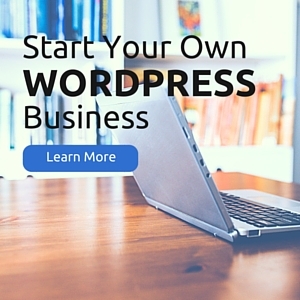 I’d like to see more business owners follow the lead of Yaro to improve their blog presence, to understand the reasons behind why we should choose WordPress as the best blog platform to use (I will be covering this topic very soon), to understand why we should have effective copy near our opt-in boxes, and the benefits of applying this system into our business. Yaro has some cool bonuses also for the first 100 people who take action and grab the Blog Mastermind Program. So you’ll want to jump on this right away! I’m really looking forward to digging into all of this, and by the audios I’ve received from Yaro previously, I trust that this is an excellent program. So far, the audios I’ve heard have given me a clear focus on what I need to implement to my blogs.